Buzz is a bivocational pastor in the United Methodist tradition. In other words, he has another job. 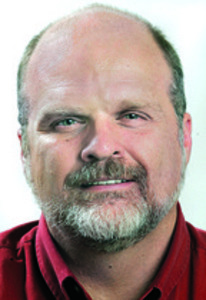 A veteran journalist, Buzz is managing editor at The (Maryville, TN) Daily Times, a small-town daily newspaper. He has served Green Meadow -- a.k.a., The Meadow -- for more than 10 years. He and his wife, Donna, have two adult children and one grandson. You can read more at www.buzztrexler.com.